use resultant revenues to improve walking and cycling infrastructure. The initiative focuses on the quality of life in Bremen. The term “Platz Da!” literally means “There’s Space”! It wants to give impetus to the move away from a car-friendly city in which public areas are blocked by parked motor vehicles and where motorized traffic always has priority. Rather, it strives for a city with quality space for cycling and walking, which anyone can use safely, and barrier-free. Following the recommendations of a Europe-wide study, the initiative regards a combination of more restrictive rules for cars (eg systematic collection of parking fees) together with incentives (such as attractive mobility management) as the key to motivating people to move from cars to more sustainable modes of transport. Amsterdam has already successfully demonstrated this policy. In addition, a City for People that supports walking, cycling, wheelchair use, skating, or even push scooters, helps achieve climate goals. As things stand right now, Bremen’s Climate Protection and Energy Programme for 2020 will miss its targets, mirroring Germany’s national failure. A growing number of people in Bremen are finally demanding decisive political action, evident from, among other things. 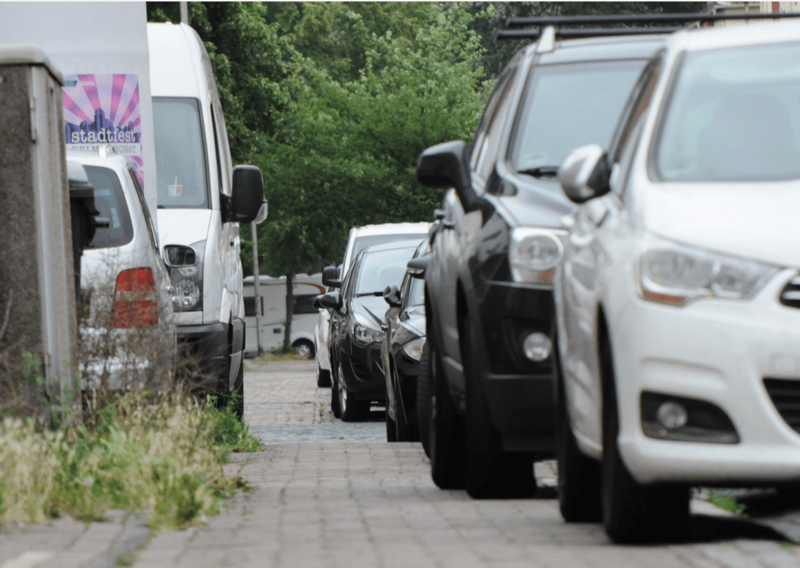 the media response to the topic Transport Transition, the active participation in the conference on parking space management in October 2018, and the clarity with which the district council of a heavily affected district –Findorff- demands a solution for the dire traffic situation there. In the immediate future, the collection of petition signatures is the priority. Supporter numbers are growing, but more help will be needed if the 5,000 mark is to be reached. 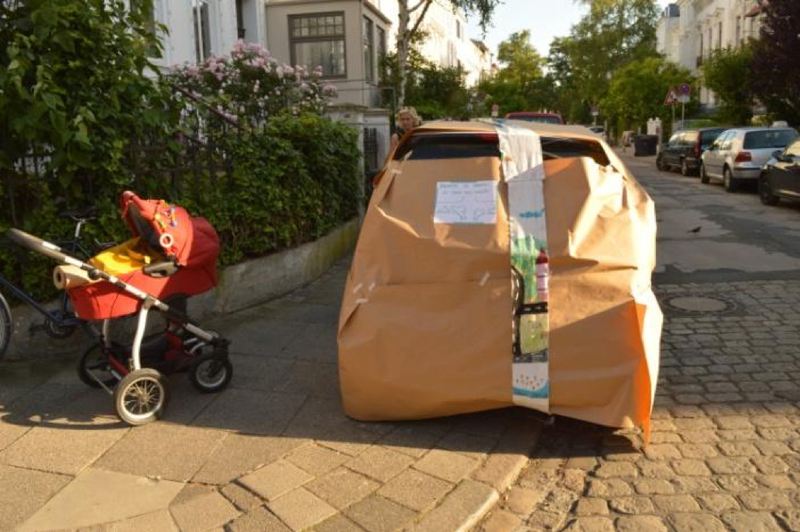 In parallel, public events have been carried out, such as wrapping illegally parked cars with wrapping paper to highlight the unfair use of public space. More are planned. The 5,000 signatures-target for the petition needs to be reached by September 2019, when it will be submitted for debate in the Bremen Parliament. 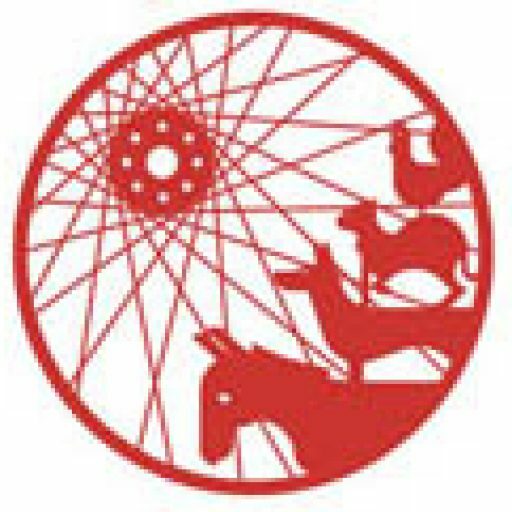 The initiative is looking for a clear political signal for a transport transition in Bremen, and a concrete and financed package of measures. What Can Bremen Citizens Do? If you would like to help, you can contact the initiative via one of the options listed below. More supporters are needed to collect signatures, to help shape public events, or to offer locations like shops and cafés where signatures can be gathered. A small e-mail is enough to establish contact with us. And please pass on details to friends! Where Can You Sign the Petition? At one of its stands in public at events, markets, etc . Dates and locations are regularly updated on the Platz Da! website. At the Bremen Friends of the Earth offices (Am Dobben 44), the VCD (also on Am Dobben 44) and the ADFC (Bahnhofplatz 14a). At one of the locations around the city where petitions are always available to sign. A map of such locations will shortly be available on the Platz Da website. You can download a copy of the petition here, (print both sides!) and gather signatures yourself. Send the completed petition to : BI Platz Da !, c / o KlimaWerkStadt, Westerstraße 58 , Bremen 28199. >>> Look out for updates here on Bremenize!